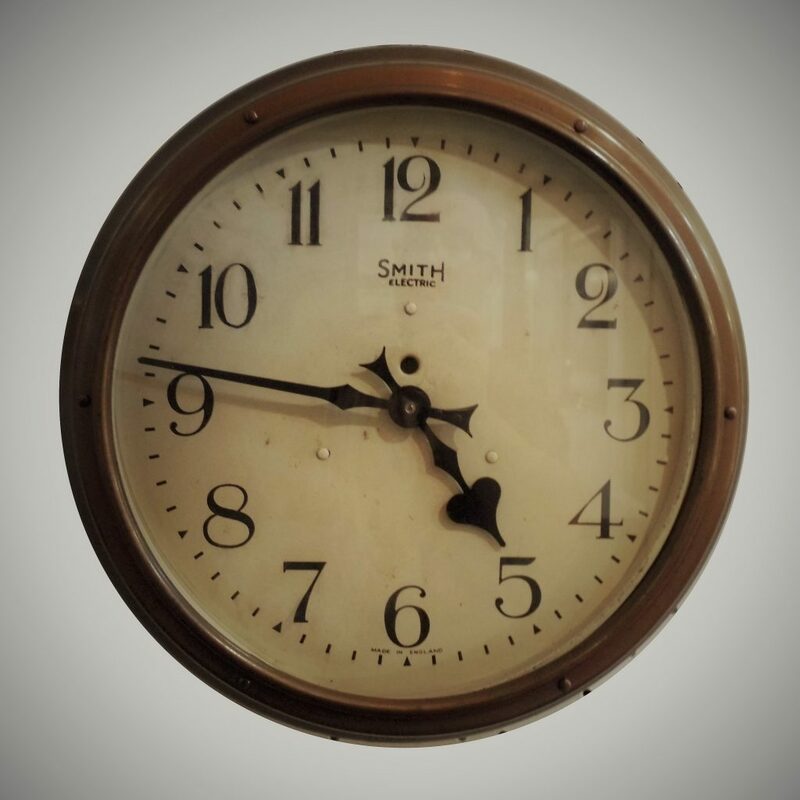 A Bronze painted metal Smiths Sectric Clock circa 1940. A very nice Smiths of London metal wall clock probably used in a factory . This clock is in very good condition and in its original and rare bronze coloured paint. We have replaced the movement with a high torque battery powered unit , but retained the original sectric movement for any collectors out there. It measures 40 cm in diameter .